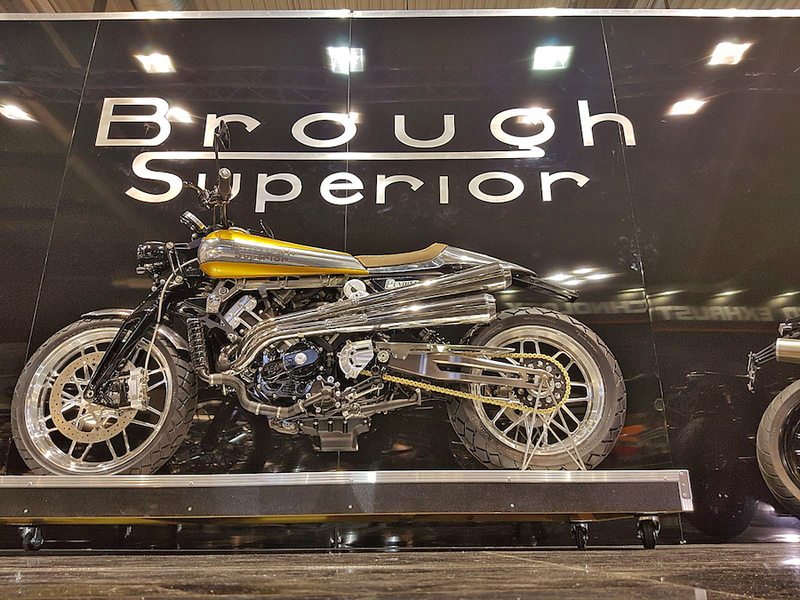 Historic British marque Brough Superior launched an array of new models at this year’s EICMA Show, as the now Anglo-French operation gears up to begin production of its 2018 SS100, which debuted at the 2013 event as a concept bike. Brough plans to start production next March in its Toulouse factory of the SS100 Mk2 Euro 4 model introduced in Milan. It will build 250 such bikes in 2018, retailing at €62,900 (about $98,000). 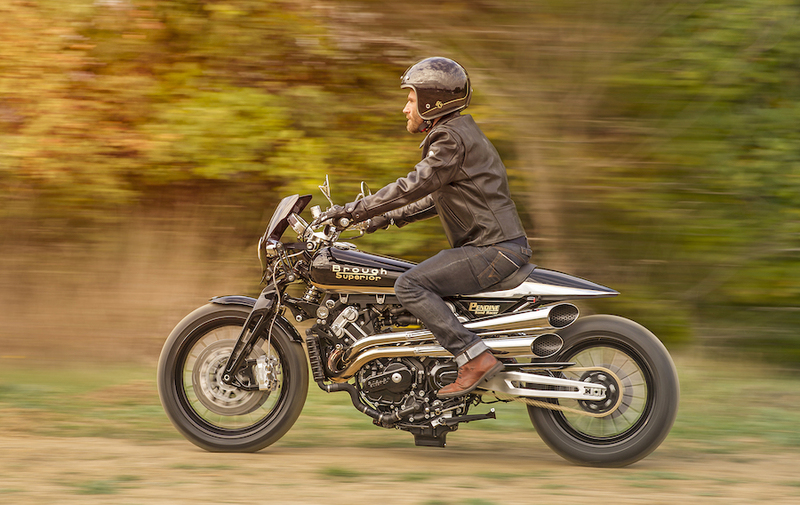 But Upham’s partner in the enterprise, Thierry Henriette, whose Boxer Design company created the sleek model that has put Brough Superior back in business for the first time since WWII, has also conceived two further variants of the SS100, the Pendine S and Pendine D, unveiled at Milan. Based on the same basic platform as the SS100, with a machined titanium frame and Fior-type wishbone front suspension, they are fitted with a billet swingarm (rather than the cast alloy unit on the standard bike) and an offset Öhlins monoshock (rather than centrally positioned as on the SS100). Other detail differences include a taller handlebar delivering a more upright riding stance, a 19-inch front wheel and 17-inch rear (rather that the SS100’s pair of 18-inchers) and a glorious-looking pair of stacked slash-cut megaphone exhausts on the left side of the bike – the stock SS100 has two standapart pipes on the right.